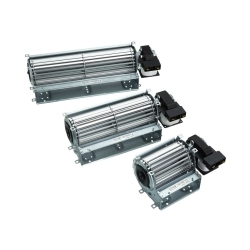 Tangental Single Fan Motors There are 5 products. The Pump House 15W Tangential Fan Motors are single impeller motor assemblies with aluminium blades. Ideal for replacement in nearly all industrial and commercial refrigeration and ventilation equipment. The Pump House 20W Tangential Fan Motors are single impeller motor assemblies with aluminium blades. Ideal for replacement in nearly all industrial and commercial refrigeration and ventilation equipment. The Pump House 30W Tangential Fan Motors are single impeller motor assemblies with aluminium blades. Ideal for replacement in nearly all industrial and commercial refrigeration and ventilation equipment.